Love the colours! Isn't it fun to see them all bursting out! So bright and cheerful. Lovely arrangement. Love the colours and light ! Blue and gold go so well together! Pretty vase too! Lovely flowers in a beautiful jar. 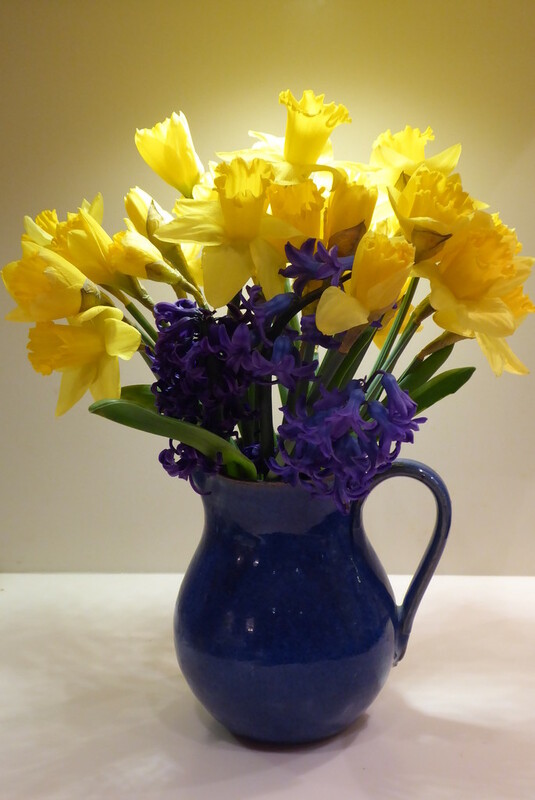 A lovely jug to hold beautiful flowers. Beautiful bouquet. Perfect for spring. Lovely flowers to welcome spring.